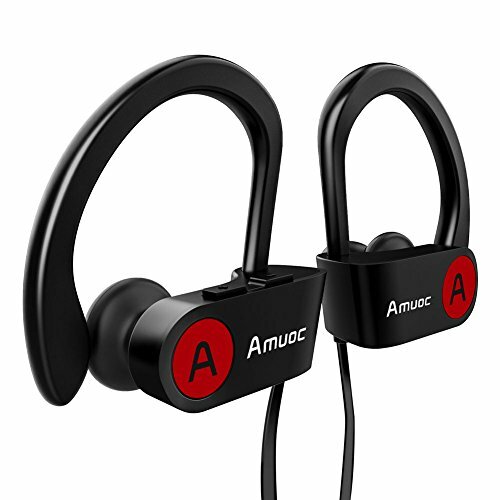 COMFORTABLE and SECURE FIT: With Ergonomic design and silicone ear hooks, Amuoc Bluetooth Headphones are secure behind your ears and rest comfortably in the ear canal. Premium soft smooth silicone gel surface helps sweat proof. It is great for Gym, Running, Jogging, Hiking, Cycling, and impact Sports. NOISE REDUCTION: With CVC 6.0 technology, the Hussar Amuoc Bluetooth Earbuds reduce background noise, so you can focus on your favorite music, no matter where you are. HOURS OF LISTENING TIME and VOICE PROMPT: Amuoc Bluetooth Headset can deliver up to 10 hours of play time on a full charge. Voice prompt allows notification of incoming calls and phone numbers, so never miss a phone call. If you have any questions about this product by Aumoc, contact us by completing and submitting the form below. If you are looking for a specif part number, please include it with your message.